Are you sick of eating the same old chicken recipes? Here are 31 chicken crockpot recipes that I tried myself and LOVED. Yum! 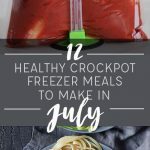 What’s so great about these crockpot chicken recipes? 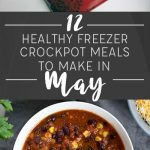 They don’t require any cooking ahead of time, so you can quickly add the ingredients to the crockpot in the morning or to plastic baggies to freeze for later. 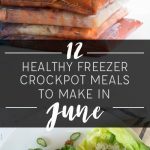 Since I’ve made hundreds of crockpot freezer meals, I decided to compile a list of my 31 favorite chicken recipes. These are all healthy meals that I feel good serving my family. They’re also DELICIOUS, so I can pretty much guarantee that you’re going to love them. Enjoy, Friends! Click the name of the recipe above for the full recipe and cooking instructions. The exact cooking time will depend on the size/strength of your crockpot. My old 4-quart crockpot cooks chicken in about 8 hours, but my favorite 6-quart programmable crockpot with a timer cooks chicken in 3-4 hours. (It’s perfectly fine to sit on “warm” for hours after that.) 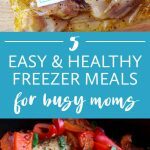 I would cook these recipes for however long you’re used to cooking chicken in your crockpot. 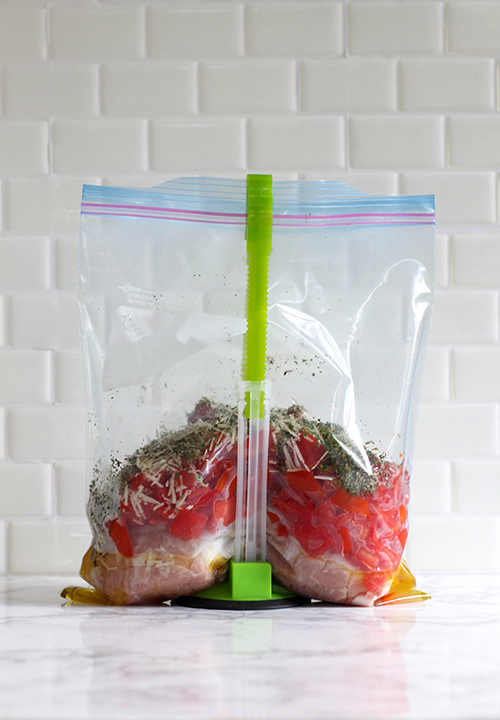 If you buy frozen chicken instead of fresh, add it to the bags frozen. (In other words, don’t thaw and re-freeze.) After cooking, shred the chicken before serving. I am a member of New Leaf Wellness. It would be helpful to receive an email when you add new recipes to your site. Thanks!